(Abu Dhabi) – The ministerial meeting of the first UAE-Mali Joint Committee was held at the headquarters of the Ministry of Foreign Affairs and International Cooperation. She added that the committee’s meeting crowns a series of measures that aim to reinforce the bilateral ties between the two countries, especially the signing of an MoU to exempt their citizens from entry visas in July 2017, as well as the signing of agreements related to encouraging investments and avoiding double income taxation in March 2018. President His Highness Sheikh Khalifa bin Zayed Al Nahyan also issued a federal decree to establish the UAE Embassy in Mali in May, she further added. “The UAE’s mission is to promote peace and tolerance and combat extremism and terrorism, and it is employing all its diplomatic and development potential to achieve this mission, which has led it to cooperate with Mali and support the development efforts led by Ibrahim Abu Bakr Keita, President of Mali,” Al Hashemy said. She also praised the partnerships between the Abu Dhabi Development Fund, the Emirate’s Red Crescent, ERC, and government of Mali to support social housing programmes and development projects related to health and education. Al Hashemy then praised the growing commercial relations between the two countries, noting that the UAE is the second largest market for Mali’s exports, and Mali was the second largest African exporter to the UAE between 2014 and 2017. “Despite the significant decline in bilateral trade between 2016 and 2017, preliminary figures for the first nine months of 2018 highlight a recovery. The total value of trade between the two countries reached around US$955 million, compared to only $217 million during the same period in 2017,” she added. Al Hashemy praised the overall cooperation between the UAE and Mali and thanked the country for supporting the UAE’s membership in the International Telecommunication Union, ITU, from 2019 to 2022 while highlighting the UAE’s willingness to support Mali in obtaining non-permanent membership to the Security Council from 2022 to 2023, as well as to the United Nations Educational, Scientific and Cultural Organisation, UNESCO, from 2019 to 2023, and the International Civil Aviation Organisation, ICAO, third category from 2019 to 2022. 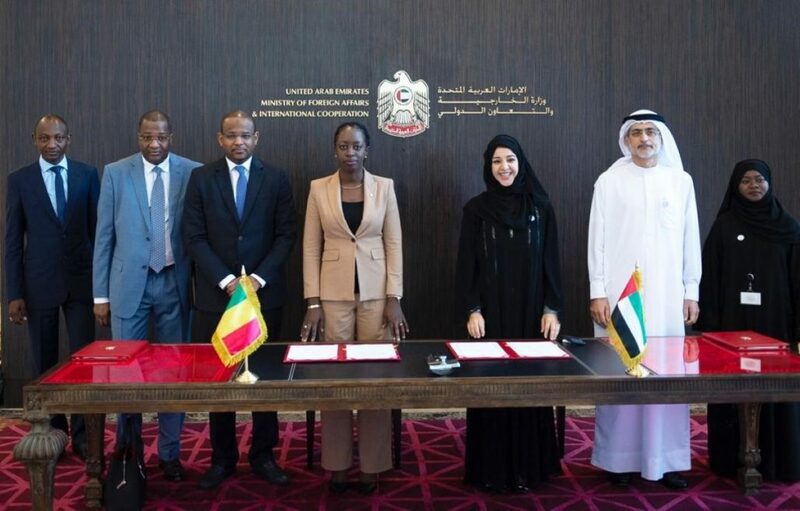 Kamara expressed her country’s happiness at the formation of the committee and its first meetings in Abu Dhabi, which will reinforce the overall ties between the two countries. She also expressed the desire of Mali’s government to improve its overall economic partnership with the UAE.